Places the poetry within contexts such as: economics; religion; empire and exploration; education, humanism and rhetoric; censorship and patronage; royal marriage and succession; treason and rebellion; “others” in England; private lives; cosmology and the body; and life-writing. Incorporates recent developments in the field, as well as work soon to be published. Entices students to explore the subject further. Provides new syntheses that will be of interest to scholars. All the contributors are highly regarded scholars and teachers. Donna B. Hamilton is Professor of English at the University of Maryland. Her previous publications include Virgil and 'The Tempest': The Politics of Imitation (1990), Shakespeare and the Politics of Protestant England (1992), Religion, Literature and Politics in Post-Reformation England (co-edited with Richard Strier, 1996), Anthony Munday and the Catholics, 1560-1633 (2005), and an edition of Middleton's The Puritan (2005). 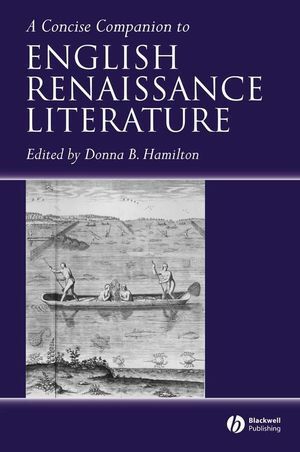 A concise, cutting-edge survey of English Renaissance literature from 1575-1625. Launches students into the study of English Renaissance literature by way of the central contexts that informed it.